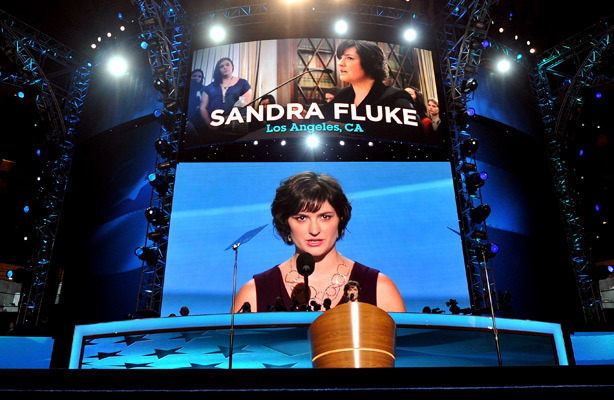 We haven’t had much experience in talking about wonderful women keynoters at political conventions-and how a speech catapulted them to higher office-but Sandra Fluke’s performance this week at DNC2012 is surely one of them. The object of Rush Limbaugh’s ire and spite when she defended the idea of insurance for contraception did well–better than well–she was dignified, articulate and persuasive. In fact, she may have eclipsed Elizabeth Warren, who followed her on stage.